This tour is co-hosted by the LTCC Demonstration Garden Committee. The tour is in conjunction with the Master Gardeners’ June Day and Jamboree Plant Sale. Tours start at 11:00 AM and at noon. 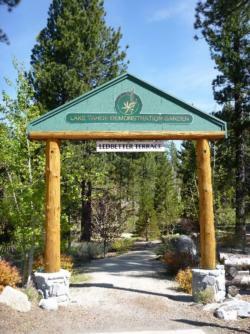 The tour begins at the Demonstration Garden entrance (Ledbetter Terrance). The tour is free. No reservations or sign-up is needed for this tour. Contact David Long if additional information is needed - davidmlong@earthlink.net.